Registration for the 2019-20 School Year - Please reference this presentation to review important topics related to spring registration at MRHS. Our counselors presented this information to students and families of current 9th to 11th graders on Monday, March 11. Individual registration appointments for current 9th-11th graders at MRHS will take place from mid-March to mid-April. On Monday, April 8, 8th graders from MRMS will tour MRHS and attend a registraiton information session during the school day. On Monday, April 8 at 6:30pm, families of current 8th graders are invited to attend a registration information sssion in the MRHS auditorium. New Student Enrollment and School Tours - Information about enrolling new students for the 2019-20 school year can be found here. School tours are conducted on Monday, Wednesday, and Friday of most weeks. Prospective families are welcome to contact Ms. Dianna Weir to schedule a tour. Career Cluster List - The UCPS Career Clusters list is a resource for students, parents, counselors and staff. This guide is designed to be a tool that illustrates the courses needed to become a CTE concentrator within specific career pathways. 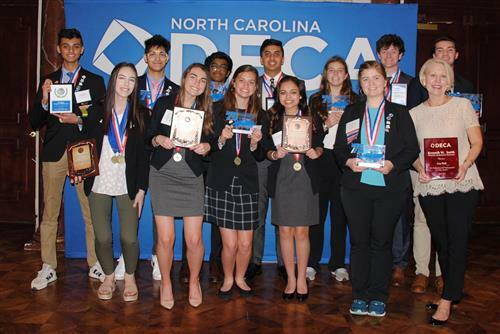 International Baccalaureate - The IB Diploma Program at MRHS is open to all students in UCPS. For more information, visit the IB page. MRHS Student Handbook- Please click here to view the 2018-19 MRHS Student Handbook. 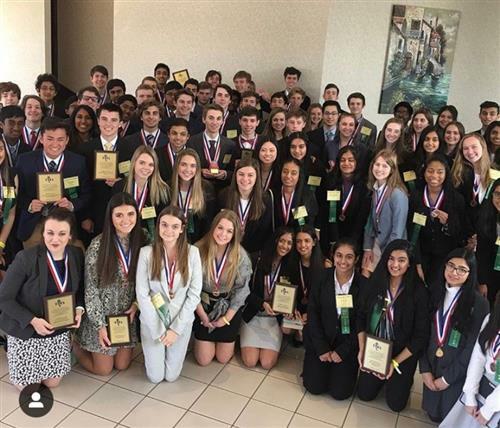 With 12 MRHS students placing as Top 10 Finalists, and even the adviser winning an award, these DECA Mavs cleaned up at the State Conference! 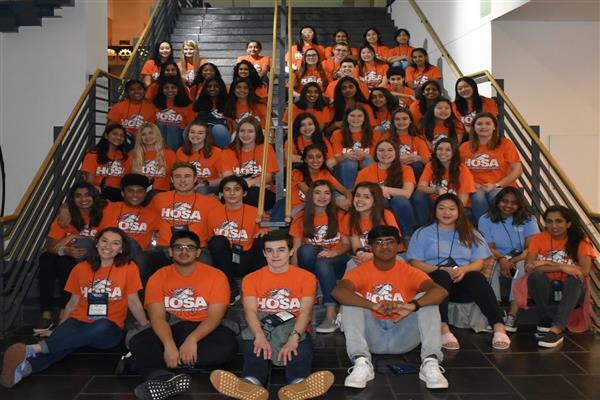 55 HOSA Students Participate & Compete in State Competitions!